Thank you for considering a gift to support Aquinas & St. Mary’s Catholic’s mission: to provide a Christ-centered, learning environment to prepare students to deal with future involvement in church, family and civic relationships. Your support enables Aquinas & St. Mary’s to inspire faith and build character in our students. 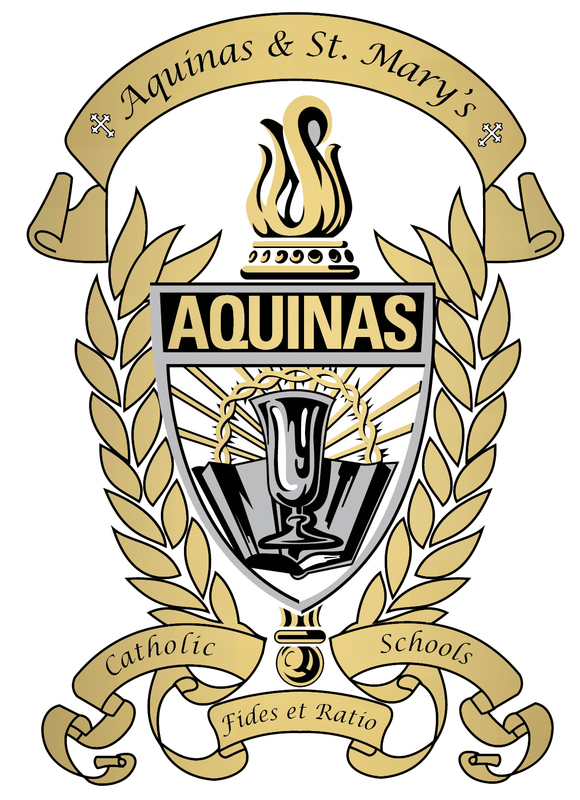 This scholarship program, allows Aquinas & St. Mary’s to accept all student who want to attend a Catholic school, regardless of ability to pay tuition. This fund depends entirely on donations. Donations for the Guardian Angel Scholarship are taken at any time throughout the year and are tax deductible. Please consider becoming one of our “Guardian Angels”. The Heritage Club is a group of individuals who have shared the good news with the schools that they plan to give a planned gift. There are no dues to pay or offices to hold with this club. However, twice a year, members are invited to special Masses to thank you for remembering us and helping us build up the kingdom of God. Your donation is tax deductible. Our Federal Tax #47-0464809. Scrip literally means “substitute money”. Several local businesses have agreed to contribute to Aquinas and St. Mary’s through the Scrip Program. Scrip is sold as a gift card for a specific business. You can purchase a gift card for $25, $50, or $100 from a variety of businesses. The base pay for our teachers has been frozen for many years now, and the incentive pay is the only way we can bring their compensation up to a fair and just level. In this sense, it is not “bonus pay”, but rather a necessary fund to make sure that we can be as competitive as possible when it comes to hiring new teachers and maintaining the great teachers that we already have. You Shop. Amazon Gives! Learn more here. Earn money for Aquinas & St. Mary’s Catholic Schools just by showing your Monarch Pride on your Debit Card. Learn more here. Turn in your clipped Box Tops at St. Mary’s or Aquinas Catholic Middle School. The fedora on the Godfathers Pizza box can be turned into St. Mary’s for 25 cents each. Put your receipt in a tub at the Columbus SuperSaver to earn points to buy educational equipment. All donations are tax deductible. We wish to thank you and all of our faithful community for your support of Aquinas & St. Mary’s Catholic Schools.